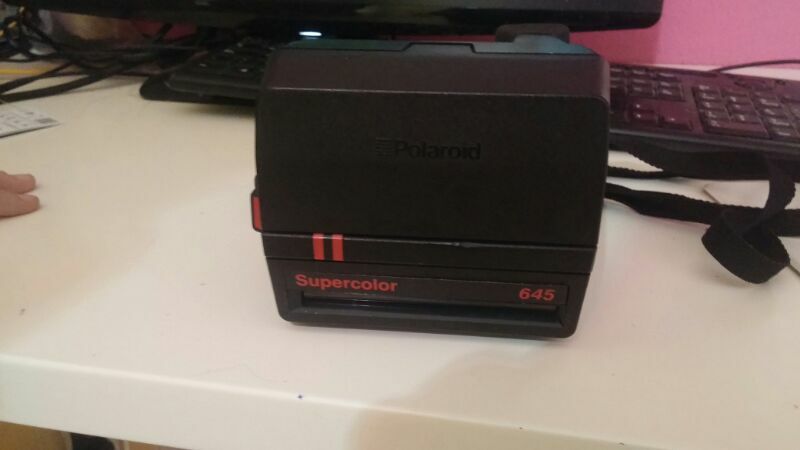 Few weeks ago, my boyfriend bought me a Polaroid Supercolor 645 camera on Internet. When I open the camera you can see the little light with green color, looks like works perfectly, but when you press the botton to make a picture there's any sound and the camera doesn't do anything. 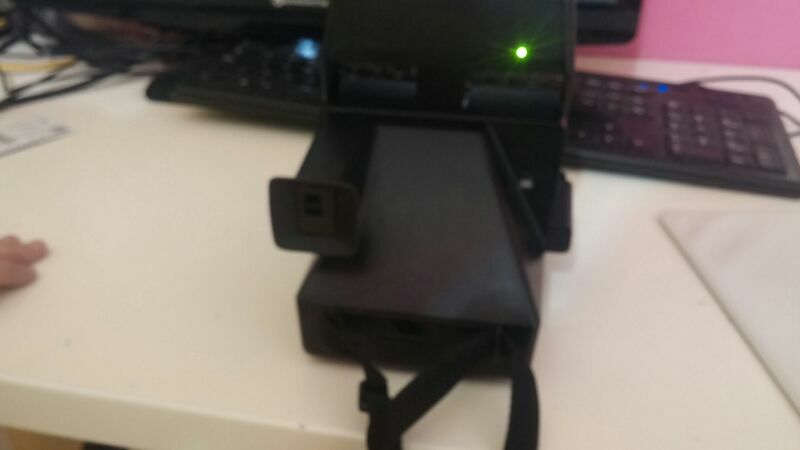 I will show you some pictures because when I went to a shop in my country, they said that nowdays they don't know so much about those type of cameras, and before to go to a professional shop (it's a bit far away) I would like if you guys could help me with this doubt. In the last picture you can see a white line inside the part where you put the paper, Im a bit confused if it's real paper or if it's something from the camera. The battery is included in the film pack. You can see on your last picture a red bootstrap. It allows you to pull off the film pack. 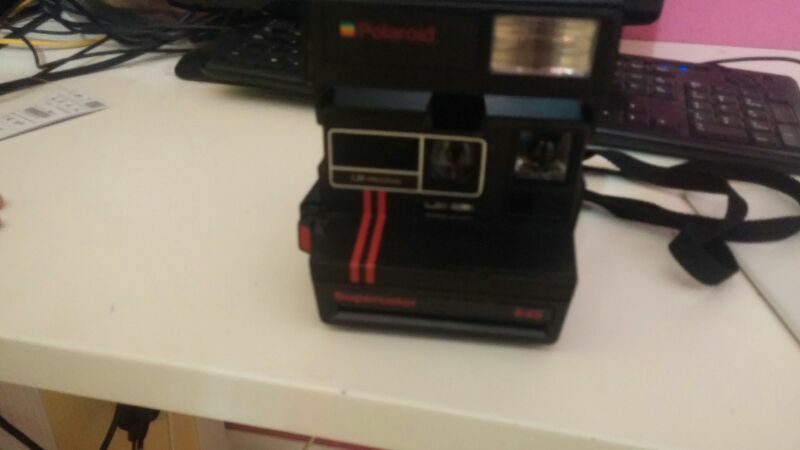 That kind of color of bootstrap is typical of Polaroid. Therefore, I think your pack is too old and the battery is almost flat. It is enough to light up the LEDs but not to take a picture. 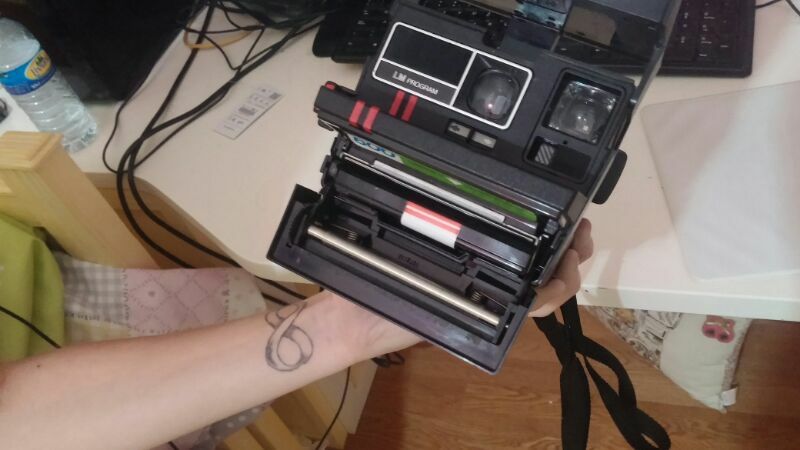 Buy a fresh film pack : https://shop.the-impossible-project.com ... 345964406d and it'll work ! You need "600" type film.